Product prices and availability are accurate as of 2019-04-14 19:28:00 UTC and are subject to change. Any price and availability information displayed on http://www.amazon.com/ at the time of purchase will apply to the purchase of this product. Replacement probe serves as a spare for the TW362B Original Cooking Thermometer/Timer from ThermoWorks. Affordable price makes it possible to keep a spare on hand to replace burned out or damaged probes. 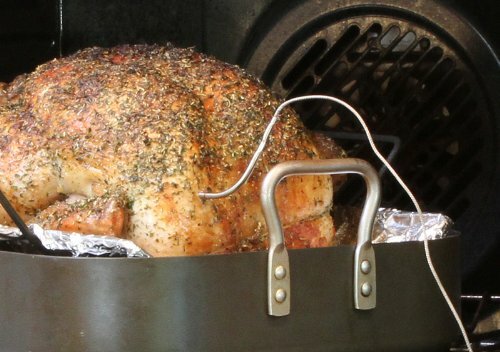 Probe cables will withstand 500 F for short term use to allow for oven browning. The probe itself is rated to 392 F. The probe cable employs high temperature wires insulated with PTFE and protected by a stainless steel overbraid. The cable diameter is small to allow it to be closed in an oven door without creating a heat leak. The probe assembly is not completely waterproof and should not be immersed in water. The tip of the probe tube can be run under a tap or cleaned with a damp rag. (Keep the cable dry.) 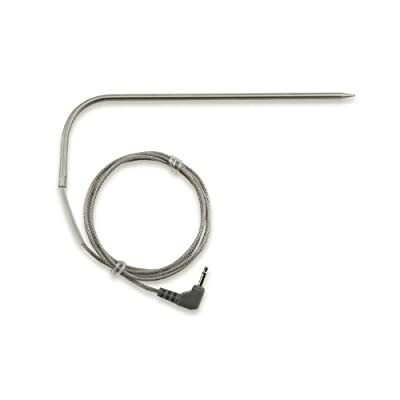 Keep the probe cable away from heating elements, flames, coals, grill or oven racks - all of which can reach temperature far higher than 500 F. (There are no food-safe, affordable wire technologies that will withstand higher temperatures.) Avoid repeated kinking or twisting the probe cable which can break wires over time. With moderate care probes will last a long time. Designed for the ThermoWorks TW362B Thermometer. May not work with other makes or models of thermometers.